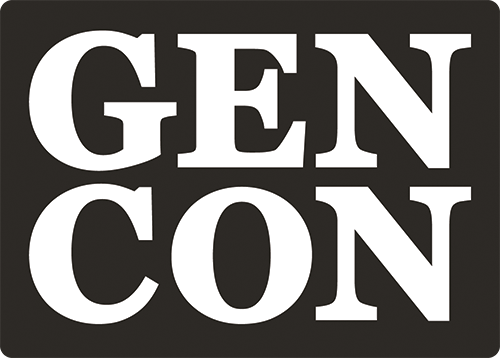 Hello, friends of GenCon 2018! 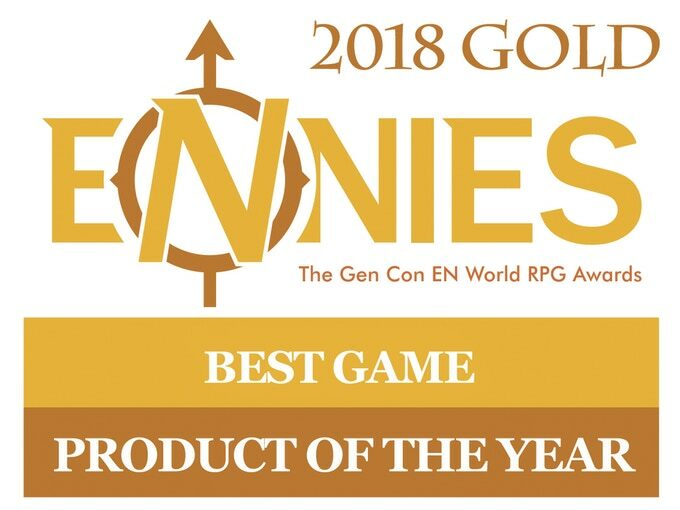 Thank you for your interest in Zweihänder Grim & Perilous RPG, the Gold ENnie-award winning Best Game and Product of the Year at GenCon 2018! The code for the free PDF expires Tuesday evening. Use it quick! Do you like Warhammer Fantasy Roleplay and want to hear more about gritty and dangerous rpgs – filled with grim conspiracies, dark stories and other low fantasy elements? 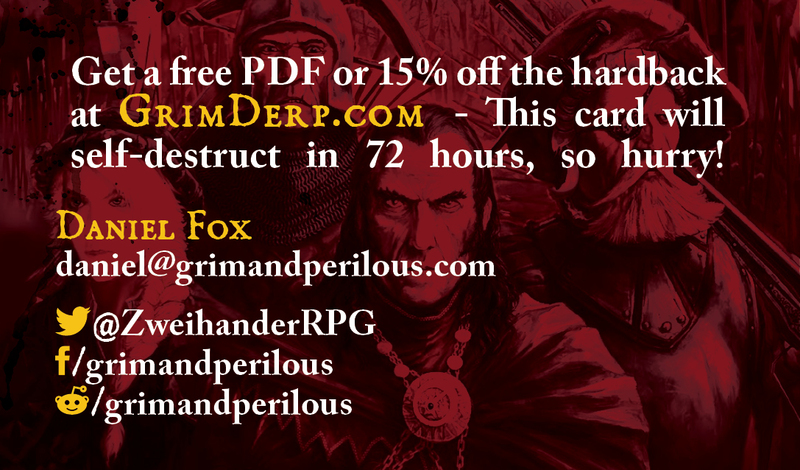 Then check out Zweihänder Grim & Perilous RPG, a WFRP-inspired retroclone! You can use Zweihänder to create your own homebrewed worlds, whether inspired by the works of Andrzej Sapkowski’s The Witcher, George R.R. Martin’s Game of Thrones, Glen Cook’s Black Company, Myke Cole’s The Armored Saint, Robert E. Howard’s Solomon Kane, Scott Lynch’s Gentlemen Bastards or other ‘grimdark’-inspired media. 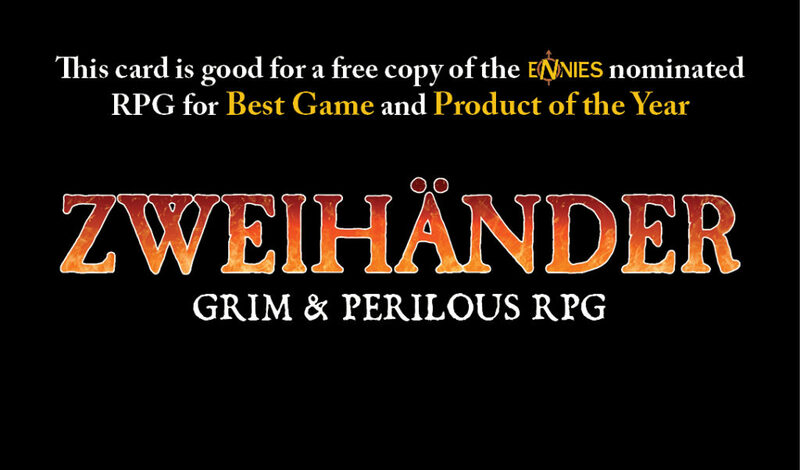 Visit this link for a free PDF of the award-winning Zweihänder Grim & Perilous RPG!